Hello readers! I have a new Valentine’s craft to share with you and is probably the last one ;) I designed this board a few months ago during Thanksgiving season and added the ombre page to it. What I love about this board is that you can customize it any way you want. In this case, the message board will be for a Valentine’s day game. The details of the game are not completely fleshed out, but it will be a game where my husband and kids will participate leaving each other “secret” messages on the board. Then the person receiving the note will have to guess the message’s author and reply back. Please take a look below at a few photos describing the process of how I made this. Above I used a canvas from “Canvas Corp Basics”. 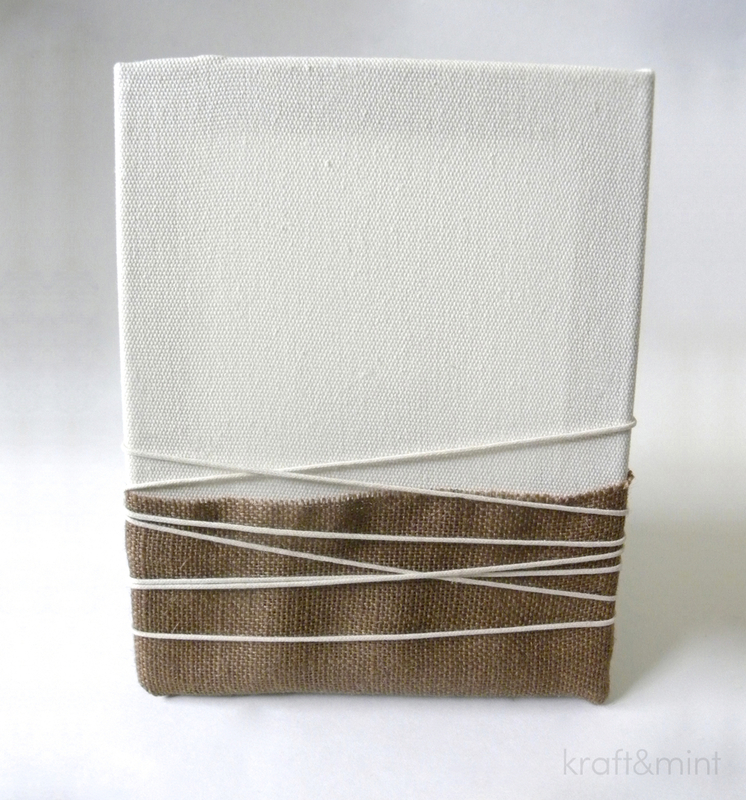 Then I color blocked the board with a brown burlap and used white cotton rope to secure messages written on paper. You can view the original project by clicking here: “Give Thanks Board“. As you can see I used an adjustable knot which allows me to move the rope in any way, I want. I used Plain Jane ink in red to create an ombre effect. 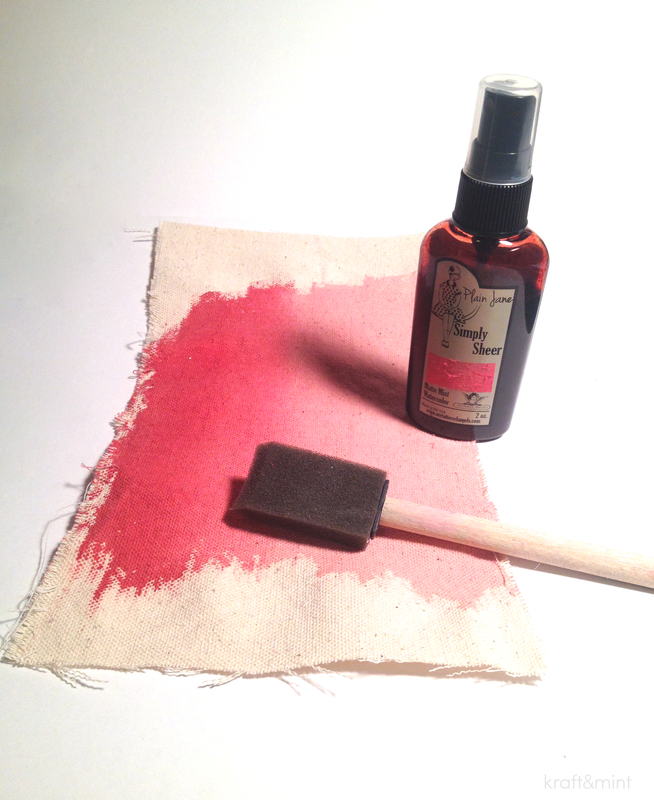 Traditionally this product is intended to be used as a spray, but I used it as a watercolor and combined it with water to create a nice gradient of reds. 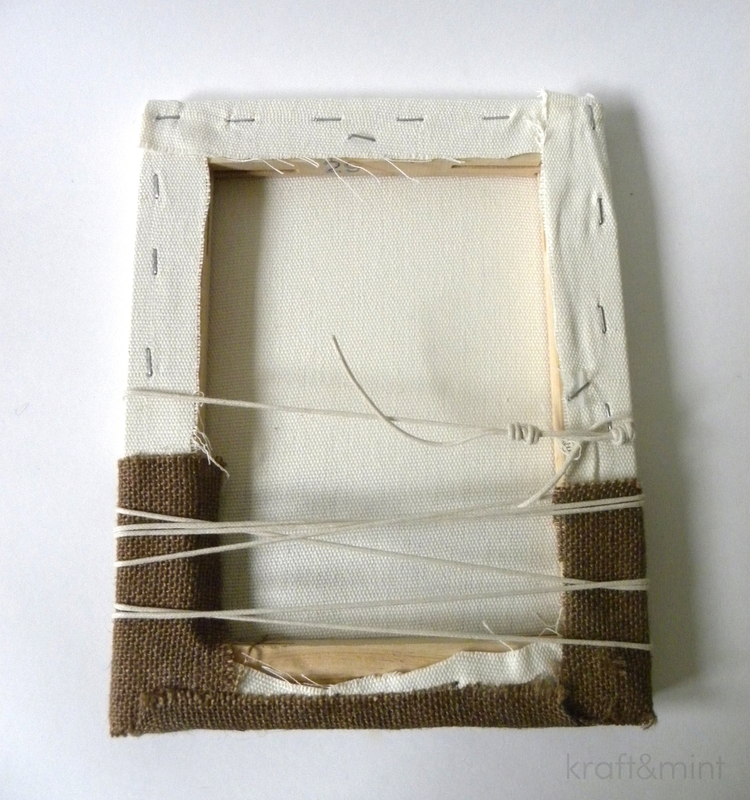 This technique worked very well on both burlap fabric and watercolor paper (not shown). What do you think? I decided to go with the watercolor paper and inserted a red heart in between the cotton rope. Most of the materials I used were graciously given to me by Craftistas. Thank you for reading and visiting kraft&mint! 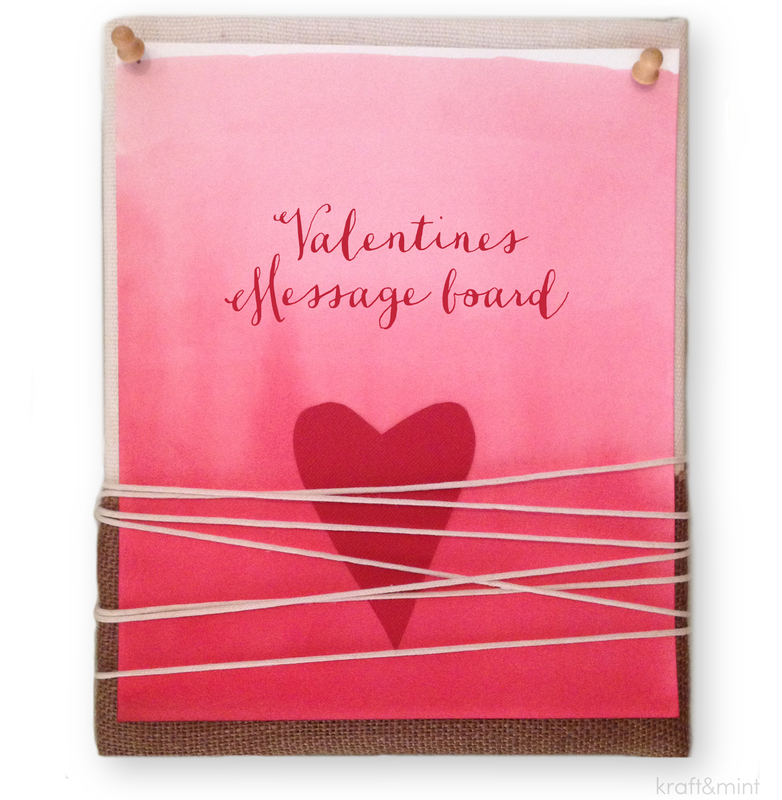 I hope I’ve inspired you to create your own message board or something similar ;) I think this will be the beginning of a nice valentine’s day tradition for our family! Pingback: Great Ideas -- 18 DIY Wall Decor Projects!